Xavier did an amazing job helping our group navigate a morning in Quebec with both children and adults. He is truly flexible and a great listener, adapting to the needs of the group. He is gracious, knowledgeable, friendly and prepared to make your tour the best possible for you. We feel so lucky to have found Xavier. He truly enhanced our visit to Quebec and made our visit personalized and welcoming. Highly recommend. TOUR GUIDE RESPONSE: Thank you Margaret. I'm glad your fellow travellers enjoyed the explanations on the way to the Carnaval. Xavier was a perfect tour guide. We didn't know what kind of tour we wanted, just relaxed and to learn a bit about Quebec. He customized the trip according to our interests our professions, making it meaningful. He had interesting history to relate and answered all our questions about life here, architecture, the Quiet Revolution, and more. We wanted to go to the cat café and he helped us find that and we took a nice break from the snow there. He even gave us toe warmers for our cold feet! Merci beaucoup! TOUR GUIDE RESPONSE: Merci Margaret! It was a pleasure to guide you and I finally had an opportunity to try Café Félin (cat café). I'm happy you all enjoyed your private tour. TOUR GUIDE RESPONSE: Thank you Carol for your review ! I'm happy to read you enjoyed the tour and the restaurants I recommended. Xavier was fantastic. We were a private tour with 2 families, 8 people total - ages ranging 24 -64 yrs. Upon meeting Xavier immediately asked key questions to each participant and was then able to tailor the tour to incorporate areas or facts that would be of interest. His knowledge of history is most impressive and he has a terrific sense of humor. Well after our tour ended and during our dinner, we all recalled interesting facts we learned during the tour. 5 star rating....would definitely repeat. TOUR GUIDE RESPONSE: Merci Caroline for this nice review ! It was a pleasure to guide you during this bitter cold day and I'm glad you enjoyed the tour. TOUR GUIDE RESPONSE: Thank you Kirk for this amazing review ! And congratulations for achieving this 4h walking tour in December during a bitter cold day. Usually I provide this tour during Summer. Xavier is very responsive to customer wishes. He's also smart and has a good sense of humor. Xavier was a great guide and we thoroughly enjoyed seeing Old Quebec. Xavier was an amazing tour guide! He was informative and personable. He tailored the tour to our specifications and when traffic delays happened he always found a way to make things work. We recommend him highly. You will not be dissapointed. Thank you again Xavier for such a fun day! Xavier is an outstanding tour guide in every way. He is extremely knowledgeable. He went out of his way to make sure the tour accomplished all of our goals in Quebec City. He answered all of our questions and gave us insight on education and healthcare in Quebec City. Very professional, very personable and he made every minute of the tour count! I highly recommend him. He is the best!. TOUR GUIDE RESPONSE: Thank you Thomas for the rating. Xavier did a fabulous job of blending the history of Quebec with an understanding of the culture and life today. He is a perfect blend of professionalism yet he is such a warm and friendly person, you feel like you are with a good friend who is showing you his city, countryside, and life. He designed our day together outside the city on the fly, from St Anne canyon to a great lunch on Ile d' Orleans. We saw everything we wanted at the pace we desired, yet it felt very relaxed. Just a beautiful place. TOUR GUIDE RESPONSE: Thank you Richard for this nice review ! I'm glad you enjoyed the place we visited and the pace of the tour. It was a pleasure to guide you on Côte-de-Beaupré, the Island of Orléans and Quebec City. Xavier made the city and it's his come alive. The day was fantastic! Highly recommend Xavier for Quebec. We also found out he offers tours for visually impaired guests. Amazing. TOUR GUIDE RESPONSE: Merci Angela ! I'm glad you enjoyed the tour... even with the incredible rainy day we had. Xavier absolutely "made" our visit to Quebec City and environs! He was very knowledgeable about all of the sites he took us to see and, better than that, he communicated that knowledge with such enthusiasm and pride of place. We Had a much expanded knowledge of Quebec and its French influence, its culture, its politics and its people by the time our 3 days under his guidance were completed. His ability to gauge our particular interests as he spoke and we questioned was amazing. We enjoyed every minute! TOUR GUIDE RESPONSE: Merci Rebecca ! It was a pleasure to guide you and your three friends during 3 days in Old Quebec, Old Port, Petit Champlain, Old Lévis, Old Lauzon, the Island of Orléans, Côte-de-Beaupré and show other sites on the way. Now I expect to see you again one Winter ! Remember, in Canada, there is no bad weather, only bad clothes. TOUR GUIDE RESPONSE: Merci Marcia for this review and rating. I'm glad you trusted me and accepted I also guide you in Lower Town and not only Upper Town. Xavier went out of his way to make sure we were able to experience all of the high points Quebec City has to offer, and even stopped at several shops on the way back to our ship to allow me to purchase some local maple syrup to bring home as souvenirs. All in all we would rate the tour a 5 out of 5 on all accounts, and would absolutely recommend Xavier to others interested in seeing and hearing about the old and the new through the eyes of a local. TOUR GUIDE RESPONSE: Thank you very much Marla. It was a pleasure to guide you. I'm happy that you'll think about Quebec City every time you taste some maple syrup ! Amazing experience!!! This was the highlight of our trip - for both the kids AND parents. We have a new appreciation for bees, we faced our fears and we harvested our own honey. Xavier was incredibly patient and knowledgeable. This is a must for anyone with kids. TOUR GUIDE RESPONSE: Merci Susy ! It was a pleasure to open my bee-yard for you. You bring back home the very best honey in the world : the one you harvested yourself ! Xavier has exceeded our expectation in his knowledge of the city, his easy going personality, his enthusiasm and sense of humor. He was very accommodating to our interest and customized the 4 hour tour to meet our wishes. He is friendly, met us on time, and perfect in every way. All 8 of us have the same conclusion that we are very glad to have had this tour by him! Xavier was waiting on time to pick us up from our cruise ship. He took us to both sides of Montmorency Falls, the largest waterfall in Quebec City and let us hike up to the top or take the gondola across. He speaks english well and was serious and knowledgeable. He also took us to the Notre-Dame de Quebec Basilica which was gorgeous. We had a wonderful half day private tour and I would recommend him. TOUR GUIDE RESPONSE: Thank you Beth. It was a pleasure to guide you on Côte-de-Beaupré and the Island of Orléans ! I'm glad you also enjoyed the Montmorency waterfalls. Xavier was a delightful guide. He was very knowledgeable and friendly. He communicated extremely well and interacted with our whole family very well. TOUR GUIDE RESPONSE: Merci Kelly ! It was a pleasure to guide you on the Island of Orleans and Montmorency waterfalls. I'm glad you enjoyed the sceneries, the history I explained and the local products you tasted. I'm sorry you thought it was a food tour, maybe because of the local products you can taste during the tour, when we stop by local producers. TOUR GUIDE RESPONSE: Merci Nancy for your rating and review. I'm glad you noticed I tailored the itinerary of your private tour depending on your pace and interests. Now I hope the additional tips I gave will help you to enjoy your trip toward Montréal. Fantastic. Even better than yesterday, which was amazing. Wonderful stops and cruising through the countryside so interesting and relaxing. Xavier is a gem. So personal, flexible and professional. We will miss him sincerely! Very accommodating, superior knowledge, friendly and considerate. Can't wait for tomorrow's tour! TOUR GUIDE RESPONSE: Thank you Kathleen for this review. It was a pleasure to guide you in Old Quebec and Old Port, from the Parlement to Petit Champlain. Xavier was excellent as our guide. He customized our trip and optimized our time to make the most of our tour. Thank you very much for a great tour. TOUR GUIDE RESPONSE: Thank you Jeanette for your review ! I'm glad you enjoyed your tailored tour in the countryside ! Great guide with great historic knowledge. Very interesting time for our family. TOUR GUIDE RESPONSE: Thank you Dorota ! Xavier was excellent. We were a large, diverse group - 10 people, one in a wheelchair, and two youngish children (5 and 7) plus two teens. We had suffered a couple extremely rainy days in Montreal and Quebec and were somewhat reticent to go on another walking tour. Xavier was incredibly calming, assured us of his adaptabilitlty. And helped out tremendously in navigating my mother's wheelchair throughout Old Quebec. Xavier's history acumen was stellar as well. Highly recommend. We are seasoned travelers. TOUR GUIDE RESPONSE: Thank you Jennifer for this amazing review ! It was a pleasure to guide you and I'm glad you and especially your mother enjoyed Old Quebec. Our group was fortunate enough to experience a three hour tour of Quebec City with Xavier. He was outstanding! Very knowledgeable and personable he took time to understand the background of our group to provide a customised tour. Xavier's English was very easy to understand. He has the knack of explaining history with a "story" to create interest and make it memorable. We highly recommend Xavier if you are planning a tour of Old Quebec City! TOUR GUIDE RESPONSE: Thank you Wendy for your review and rating. It's always a pleasure to focus on things on theme travellers enjoy, like women's history. Next time I'll guide you in Old Lauzon, I'm sure you'll enjoy this neighbourhood ! We had an excellent tour with Xavier. Xavier is very knowledgeable, enthusiastic and fun. We enjoyed tour very much and highly recommend Xavier to anyone taking tour in Quebec. Thank you! TOUR GUIDE RESPONSE: Thank you for the recommandation and review Esther! TOUR GUIDE RESPONSE: Hi Karen, it was a pleasure to guide you both. It was nice to show you not only Old Quebec, but also Saint-Nicolas, in the country side, to find your old family roots. Fabulous! We had an incredible time! Loved the tour! Loved the city! We will definitely visit again! Xavier has extensive knowledge of Quebec City, and his enthusiasm came thru on the tour. He tailored the tour to our interests, particularly our interest in history. He made suggestions for restaurants and other sites to see. After the tour, we booked a second tour with him on the south shore, in Levy. TOUR GUIDE RESPONSE: Merci Perry ! I'm glad you and your family both enjoyed Old Quebec and Old Lévis ! Although it was a very cold and windy day, Xavier did his best to keep us engaged. He is so knowledgeable, tells interesting stories, relates facts in an informative manner, and has an unrivaled passion for military history. He is terrific! TOUR GUIDE RESPONSE: Merci Barbara ! I'me very proud of this thematic tour and it's always a pleasure to guide travelers interested about military history. Great tour! Xavier is very knowledgeable, enthusiastic and has such a passion for his subject. He kept us interested and engaged throughout the morning. We enjoyed the tour immensely and would encourage others to take it if the opportunity arises. TOUR GUIDE RESPONSE: Merci Barbara. I'm glad you chose to discover Old Lévis with me, and you enjoyed your private tour. This was the second of two tours led by Xavier. As was the case with the first (walking tour of Lévis), Xavier seamlessly combined on-site discussions of military, social, religious, and architectural history with many illuminating anecdotes. Both engaging and professional, Xavier made sure that we learned a great deal and had a thoroughly enjoyable time doing it. TOUR GUIDE RESPONSE: Thank you again for your review and rating. I enjoyed guiding you both in Old Québec (after Old Lévis) and I'm happy to read you had a pleasant and interesting time. Even though many visitors' attention is focused on the other side of the river, my wife and I wanted to learn as much as we could about Lévis, which is where we spent a week. We were successful thanks to Xavier, who is not only highly professional but also highly personable. He seamlessly combined Lévis' military, social, religious, and architectural history with many anecdotes, which not only amused but also illuminated. In short, we learned a lot and had a thoroughly enjoyable time doing it. TOUR GUIDE RESPONSE: Merci Harry for the review and also for your interest about Old Lévis ! I'm glad you enjoyed the place and better understood it thanks to your private tour. It just doesn't get any better than this!! Xavier was one of the most skillfull guides we have ever met taking care of every detail throughout our experience. He managed to convey a lot of information in a meaningful and graceful way putting every detail within the right context. He even recommended two restaurants before we set foot in Quebec that we absolutely loved. Xavier kept a great pace during the day and was always very mindful of our needs and desired experience during the tour. Just great! TOUR GUIDE RESPONSE: Merci Hector ! It was a pleasure to guide you. I'm sure the ice cream dipped in chocolate is also part of the success of this private tour. I enjoyed guiding you and your fellow travelers during this sunny day from Old Quebec to Ste Anne de Beaupré with a half tour of the Island of Orleans. Xavier made our tour of Quebec City an absolute delight. He tailored our one day tour to not only show us the highlights of the city, but also the more unusual sights and places less seen by tourists. He was a wealth of knowledge about Canadian history as well as the history of every place we visited. It was perfect day. You can't miss with Xavier as your guide! My group of high school students said that Xavier was super informative and made our tour very interesting. We really appreciated how accommodating he was; he spoke in French for the first hour and half and switched easily to English when the students started to become fatigued. TOUR GUIDE RESPONSE: Merci Erica! I'm glad your students improved both their French understanding and knowledge about local history. Also, that was nice to tell me what they recently learnt and the topics you were going to teach later in order to focus on useful themes. Our tour was amazing!! 5 stars all the way! Xavier was very friendly, on time and very accommodating to our needs. We are so happy that we chose this tour! Highly recommended! What a great person Xavier is! Thank you Xavier for an experience we will not forget!! TOUR GUIDE RESPONSE: Thank you Cheryl for this great feedback! It was a pleasure to guide you both and I'm glad you enjoyed it. We had an excellent walking tour with Xavier. He was very knowledgeable of the area (good restaurant/shopping recommendations) and the history. We saw wonderful architecture, learned about the victories and the generals, made family connections to the Ursuline nuns and the King's Daughters, and went off the beaten path. Even our college age kids enjoyed the tour! TOUR GUIDE RESPONSE: Merci Sarah for this review and rating ! It was a pleasure to guide you and your family yesterday... Almost the last day of Winter (finally, in mid-April!). I'm glad you'll bring back home great pictures and souvenirs to share. Xavier is great! We thoroughly enjoyed a walking tour of Old Quebec, sprinkled with Xavier's extensive knowledge of history and architecture. He met us at our hotel and tailored the entire experience to what we were looking for, checking several times throughout to be sure our expectations were being met. This included the hot chocolate others reviewers have mentioned, which is spectacular and not to be missed. We are already planning a return visit and will definitely choose to tour with Xavier again. TOUR GUIDE RESPONSE: Merci Peter. It was a pleasure to guide you both and I'm glad you'll come back and I'll guide you again. We already saw the highlights of Quebec City, like the Parliament, Château Frontenac, cathedrals, Petit Champlain... next time we'll go off the beaten track. There's so much things to discover in Old Quebec and surroundings. TOUR GUIDE RESPONSE: Thank you Mark (and Sabrina of course). It was nice to guide you both with your daughters in Old Quebec. I'm glad you notice I adapted the pace and also I gave more details when I saw you were more interested about some parts of Quebec City's history or patrimony. By far one of the best decision for our vacation was selecting Tours by Locals and the next best was having Xavier as our guide. He made our first day in Quebec City not only memorable but so informative. He was patient, he made sure we were comfortable, he took us on a great tour that covered so many sites and best of all he introduced us to Poutine and the BEST hot chocolate any of us have EVER had!! He loves what he does and he is proud of his city and it showed. Highly recommend! TOUR GUIDE RESPONSE: Hi Cheryl, Patrick. Thank you for this amazing review. It was a pleasure to guide your family. As I always say : travellers have half responsibility in the success of a tour. The other half in Winter... it's the hot chocolate it seems! Anyway, I'm glad you enjoyed my private winter walking tour during Winter Carnaval. This is our second visit to Quebec City and my husband and I used Xavier both times for our tour. This time we were a family group of 9 adults and 1 baby, so with a personal tour, Xavier was able to be very flexible. It was a snowy day so we were able to duck in and out as we needed to. He has a great understanding of the history of Quebec so we saw most of the historic sights. He also took us to an incredible chocolate shop for hot cocoa. TOUR GUIDE RESPONSE: Thank you Irene. It was a pleasure to guide you for a second time and this time with your family. The hot cocoa had a huge responsibility in the success of this tour ! We learned so much more than we expected. Xavier is a superb guide. He has an excellent command of his topic and is happy to discussed local politics and culture. If you want a local guide and are interested in the history of Quebec City then Xavier has to be your first choice. TOUR GUIDE RESPONSE: Thank you David for the review and rating. I'm glad you enjoyed your private tour dedicated to military history of Quebec City and learned about the Canadian part of Seven Years War ! TOUR GUIDE RESPONSE: Merci Tim ! When you told me you wanted to see the locals, I knew where to go ! We saw different kind of neighbourhoods and how the city recently evolved. We were most fortunate to have Xavier show us Quebec City and environs. Altho Italian by birth, his knowledge of the area and its history were amazing. He speaks English very clearly which helped us as we have hearing difficulties. He geared our tour to what we were most interested in seeing. In 4 hrs. we enjoyed beautiful autumn countryside, rural neighborhoods, a very thorough tour of Basilica of St. Anne, many historical monuments, the "old town" and learned so much from Xavier about local customs. TOUR GUIDE RESPONSE: Merci beaucoup David et Rocky. It was a pleasure to guide you in Quebec City and considering your travelling experience it's a real honour to be in your top 3. You know you're more than welcome to come back in Quebec City and Lévis. Thank you again for the lunch ! We could not have had a better guide than Xavier for our tour. He has a very engaging personality. His English is excellent and his knowledge of history is vast. He "interviewed" us to get a better idea of how to craft out tour and the result was an unforgettable afternoon in Old Quebec City. Do not hesitate to choose Xavier for your Old Quebec experience. TOUR GUIDE RESPONSE: Merci Susan and Gary. It's always a pleasure to guide nice travellers like you, especially when it's warm and sunny. And it's easy to make bonds between Quebec City and your city, Chicago. Xavier took 4 of us and did just an outstanding job. His personal background (like being involved with making maple syrup} added a great deal to our trip. Anyone can use him and be insured of a fine time. TOUR GUIDE RESPONSE: Thank you Don for the review. I see you enjoyed the explanations at the sugar shack. It was a pleasure to guide you. Great Tour, we really loved every minute. TOUR GUIDE RESPONSE: Merci George ! Xavier was an outstanding guide who tailored our tour to our specific interests, was extremely well versed in history and the area, and was attentive and helpful. He offered us ideas on other things we might do during our time in Quebec and made suggestions for restaurants that turned out to be exactly right for us! 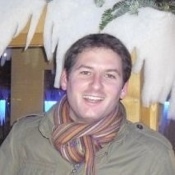 We highly recommend Xavier and really appreciated his expertise and very engaging style. Thank you, Xavier, for a lovely morning together!!! TOUR GUIDE RESPONSE: Merci Betsy. I was happy to tailor a tour for you and I'm glad you enjoyed the restaurant I recommended. You're part of the success : you asked questions and told me many things about both of you. That gave me the opportunity to find the right themes and show you the things that I knew you'd enjoy. Xavier was an excellent guide. We really enjoyed our day in Quebec City. TOUR GUIDE RESPONSE: Thank you Richard ! Xavier was a 5 out of 5. He was very knowledgeable especially on the history of Quebec and the battles fought there throughout the year. He also gave us a great restaurant for lunch that we would have never found on our own. It was a fabulous day!!!! TOUR GUIDE RESPONSE: Merci William. It was a pleasure to guide you. So far, nobody was disappointed by this restaurant, which is my favourite in Old Quebec. Xavier was a great guide. He arrived on time, announced he was completely flexible and that we could change our tour at any time. Then he proceeded to give a knowledgeable discussion of Quebec City and some of its outlying areas. He was quite personable and delightful overall. I highly recommend him. TOUR GUIDE RESPONSE: Merci JD. It was a pleasure to guide you and Bob in the Old Suburbs of Quebec, Old Lévis and Old Lauzon. As a history teacher I can vouch for the fact that Xavier is a terrific tour guide - knowledgeable, personable, insightful, witty and curious. My wife (also a history major) and I spent a delightful, fact-filled four hours with Xavier, and we can't imagine anyone doing a better job. TOUR GUIDE RESPONSE: Merci beaucoup Jeff. It was a real challenge to guide you both: you had "deep" and meaningful questions. It has been a real pleasure for me to take up this challenge, especially because you already had a real understanding of the connected events in New England. I'm glad you enjoyed I added a Canadian piece to the puzzle of the complex American history. Our family of 4 spent a full day with Xavier. We specifically requested an emphasis on history and architecture and he did not disappoint. It was like having a friend show you around only he knew much more than your friend would about the history and details of the area. We thoroughly enjoyed the tour and appreciated that he kept it fun and upbeat for our girls ages 15 and 13. We highly recommend to all that want a fully packed overview of Quebec City in a day. TOUR GUIDE RESPONSE: Merci Jill ! It was a pleasure to guide you. I hope to see you again this Winter, especially at the Hotel de Glace. Your oldest girl will probably be able to try the ice canoe ! What a nice quiet day away from the tourists! Enjoyed every minute of our 3 hours. Xavier was so personable & easy to follow. Perfect tour for seeing authentic neighborhoods. Xavier pointed out good places to eat & drink. We took advantage & enjoyed some meals/beers away from the tourists. Very enjoyable walk away from all the festivals & activities. The areas he took us to felt more true to a normal life in Quebec City. He explained all about the history & workings of the areas. TOUR GUIDE RESPONSE: Merci Shari. It a was pleasure to guide you both in Saint-Jean-Baptiste, Saint-Roch and the Colline Parlementaire. I'm sure you have a better understanding of the local history and not only about the old city. Xavier is great. Had the three hour tour, met us at our apartment. Knowledgeable and willing to mold the tour according to our wishes. Asked during the tour how it was going, which I thought was great. Would recommend him to anyone! My wife and I had a great time. TOUR GUIDE RESPONSE: Hi Paul, thank you for the review and rating. I like the challenge of tailoring the tour ! I'm glad you appreciated that. TOUR GUIDE RESPONSE: Merci Mike and Susie. I was glad to guide you in Old Levis and Old Lauzon as well. Happy birthday and enjoy the Saint-Amour ! Excellent tour! We would definitely book again with Xavier. TOUR GUIDE RESPONSE: Hi Janice it was a pleasure to guide you and Steve. You had a lot of fun and I enjoyed seeing this. Xavier led a great walking tour of historic Quebec City and the lower town for my family of five. He also did well making the tour interesting to our children, ages 9, 11, and 13, which can be a hard thing to do. Among the highlights was some research Xavier did on one of our relatives from many centuries ago. Also, after the tour, Xavier pointed us to a great restaurant, which turned out to be one of the best my family has ever visited. We highly recommend Xavier as a tour guide. TOUR GUIDE RESPONSE: Bonjour Frank, thank you for this rating and review. Thank you for sharing with me the information your father gathered about Claude Poulin. I suggest next time you come with your full family tree and not only with the name of the first settler. That way I can use your parentage as a timeline to explain which historical events affected who, who they probably met, etc. History will then have a much different flavour. 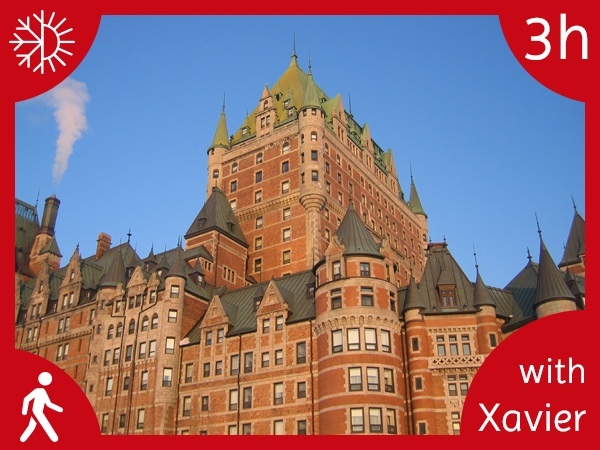 Xaver is an excellent guide full of all sorts of historical knowledge about Quebec City. The other teachers and I really enjoyed it. The students were a little overwhelmed by all the information and I think next year we will go with a shorter tour just to keep their interest. We would highly recommend Xavier as a guide to Quebec City. TOUR GUIDE RESPONSE: Hi Courtney, thank you for your feedback. I tried to provide a tour for the students (teenagers) and the teachers as well. It wasn't a complete success, sorry. I understood the boys were more interested about sports, unfortunately I wasn't able to make a lot of connections between Old Quebec and sport. Next time I'll more focus on ice canoeing for example. Xavier was awesome. He was very informative on the history and culture of French Canadians. When I thought I lost something of value, he was very supportive and generous. I can't thank him enough. TOUR GUIDE RESPONSE: Merci Cathy! I was relieved to learn that you had lost nothing. I hope you enjoyed the rest of your stay. Great private tour personalized to what we wanted. Fun, entertaining, knowledgeable and energetic. Showed us places off the tourist map and gave us advice for other days and places to go. Knew the history of Quebec, Canada, us and world history inside and out- connected the history with the people and places without seeming like a canned lecture. Free flowing and fun. TOUR GUIDE RESPONSE: Merci Mark! I'm glad you enjoyed the tour and appreciated I tailored the tour for you rather than having pre-set itineraries. I hope I'll guide you next time on the South shore. Although the weather was cold and windy, Xavier gave us a great tour of the old historic parts of the city. He knew his history incredibly well and was able to share anecdotes on the various places we saw. This was our first guided tour and very well worth it. TOUR GUIDE RESPONSE: Hi Tim, thank you very much for your feedback and review. I'm glad you enjoyed your first private tour despite this cold weather (unusual for Spring!). I hope you'll enjoy the restaurants I recommended and the activities/museums too. Xavier was a wonderful guide! We had a great time on our walking tour and learned a lot about Quebec City. Xavier was great at answering all our questions and curating the tour just for us and what we wanted to see (and when we wanted to step inside and be warm). We also had the chance to see him at the Ice Hotel for the behind the scenes tour there (a lovely coincidence) and he was just as lovely there. Thank you, Xavier!! TOUR GUIDE RESPONSE: Bonjour Emma, thank you very much for the rating and review. It was a pleasure to guide you and your family. It was fun to see you at the Hotel de Glace too and I'm glad you enjoyed both of my tours : the winter walking tour in Old Quebec and the Behind the Scene at the Hotel de Glace. We had a WONDERFUL afternoon with Xavier. He took us all over the city, and shared the history, stories & culture that made Quebec really come alive. He asked what we wanted him to focus on (we're Irish American) so he included the Irish experience/contribution to Quebec City which we enjoyed. Xavier is warm, friendly & easy to be with.The time goes by quickly, and all 3 of us agreed it was a GREAT introduction to Quebec. Our weather was mild, but he'll take you inside for breaks between sites if cold. TOUR GUIDE RESPONSE: Bonjour Maryellen, thank you so much for your rating ! Indeed, you were lucky with the weather for February : a warm day (0˚C / 32˚F). It was a pleasure to guide you for a special winter tour. I hope you enjoyed my recommandation for the restaurant. It was a wonderful and informative tour! Xavier was great in explaining the history. We truly enjoyed morning! TOUR GUIDE RESPONSE: Thank you Susan, it was a pleasure to guide you and your family ! Enjoy Quebec City ! Xavier was very knowledgeable, very accommodating, and a very pleasant companion. He indulged us by speaking both in French (for me) and English (for my wife). His special interest in the military history of Quebec showed throughout our walk. TOUR GUIDE RESPONSE: Merci Bruce, c'était un plaisir de faire une visite bilingue ! I found informations about the Kensington Runestone, thanks for the clue. We loved our tour and cannot say enough good things about Xavier! Great sense of humor, knowledgeable and very interesting guide. Wish we could have stayed longer! Would definitely book Xavier again! Thank you for the fantastic and memorable visit! TOUR GUIDE RESPONSE: Merci Lauri ! I really enjoyed guiding you, especially with the challenge to make believe your friends Bill reads and understands gaellic ! TOUR GUIDE RESPONSE: Hi Jim. I'm happy there's no need to add anything else ! Thanks a lot ! Xavier was a wonderful guide, very attentive to our particular interests. He will happily show you places that are off the beaten path, but is also extremely knowledgable about the "must see" historical sites in and around Quebec City. TOUR GUIDE RESPONSE: Merci John ! I hope I'll see you next winter for Winter Carnaval ! TOUR GUIDE RESPONSE: Hi Ed and Linda, you got the only rainy day of the week, sorry ! Thank you for your review and rating, I'm glad you enjoyed the tour even under the rain. TOUR GUIDE RESPONSE: Thank you Bob and Mary ! TOUR GUIDE RESPONSE: Thank you very much Joan for your review and rating. This is the first I provide, for the same clients, 2 walking tours : the historical one and the military history tour. It was a challenge for me, for the first tour, to not talk at all about military history and to adapt the itinerary to avoid too much military sites we were going to see together the next day. I'm glad you appreciated the way I tailored the tours for you. I recently was part of a small private tour given by Xavier of Quebec. We had taken another tour the day before. Xavier very ably adapted his tour so as not repeat that tour. He was very informative and very willing to go at whatever pace we found comfortable. I have no hesitation in giving Xavier an excellent recommendation. TOUR GUIDE RESPONSE: Bonjour Mary Kathleen, you precisely told me what you did the day before during your first tour : then it was easy for me to focus on parts of the city and themes which were new for you. Thank you for your rating and review ! Brilliant tour given by guide Xavier and driver Chuck today, very knowledgeable and informative about the history of Canada and Quebec, including visits to St Anne's Basilica, Montmorency waterfalls and Ile D'Orleans. Thanks again for a memorable day. Highly recommend to anyone visiting Quebec. TOUR GUIDE RESPONSE: Bonjour Helen, thank you very much for your rating. I really appreciated to guide your group of 8 Kiwis ! Thank you again for the Manuka honey !!! Levi's was our second tour with Xavier, we really enjoyed walking around this historic town and learning the differences between Levi's and Quebec City.Our group would highly recommend this tour and Xavier. TOUR GUIDE RESPONSE: Merci Pam ! As you said, Levis is different from Quebec City and I'm glad you enjoyed both ! This was our first experience with Tours by Locals. We were tired of the big excursions off the cruise ships and wanted to give this a try. Our first day in Quebec we had a tour with Xavier walking though Quebec City, it was great getting the personal attention, being able to hear what the guide was saying, and going at our own speed. Xavier gave us lots of historical details along with some fun ones. I'm pretty sure we got to see and learn way more on our walking tour than if we had been on that big bus! TOUR GUIDE RESPONSE: Thank you Pam. I'm glad your first experience with Tours by Locals was positive and you discovered what private tours offer. He was just what we were seeking. Accommodated us in unusually cold weather. We saw all sites that we wanted - this required great flexibility on his part. TOUR GUIDE RESPONSE: Merci Bob ! Flexibility is one of the many advantages of private tours ! I'm glad you enjoyed the tour even with the cold weather. Xavier was a great guide. You tailors the tour to what you are interested in. History, art, military, etc. Tell him what you like and that is what you will get. He showed us parts of the city that were off the normal tourist sections of town. Loved it! TOUR GUIDE RESPONSE: Merci beaucoup Michael ! I'm glad you enjoyed the way I guide and the fact I adapt the itinerary and content depending on what you're interested in. Excellent tour! It was a full day and I thought we'd have trouble filling the time. NO WAY! Xavier had such wonderful things to show us that the time flew by. We followed his suggestions and saw St Ann's Basilica, waterfalls and a commentary and highlights of the old city. Xavier had a great sense of humor and was so easy to relate to. I would go back to Quebec City for another tour with Xavier! TOUR GUIDE RESPONSE: Bonsoir Beverly, thank you for your review and rating. You're welcome to come back in Quebec City, when you want ! I'll suggest Winter, February to enjoy our famous Winter carnaval and the Hotel de Glace. And I won't forget the DrPepper ! Xavier was very knowledgeable, considerate, pleasant to be with, and checked often to make sure that we enjoying the tour. TOUR GUIDE RESPONSE: Merci Harvey, it was a pleasure to guide you and Alice. TOUR GUIDE RESPONSE: Bonjour Gail, thank you for your review and rating. I'm glad you appreciated I customized the tour for you. Xavier is a wealth of information. He met us at the top of the Funicular since we were an afternoon tour, saving us a lot of walking. He was sensitive to what we had already seen on the "hop on hop off" bus and took us to places off the beaten track. Xavier was sensitive to what our interests were. It was a great experience. We would definitely recommend this tour company to others! TOUR GUIDE RESPONSE: Merci Katherine. I never used the red bus and I'm glad I gave informations you hadn't hear already. :) enjoy your cruise ! Xavier is delightful! Very accommodating tour of the city for my mother who has limited mobility. Made it interesting for both my daughter (27) and my mother (78). Very knowledgeable and interesting. Took special care to make sure we saw all of the highlights. Highly recommend! Great tour, even in the rain. Xavier is friendly, patient, mannerly and informative. He certainly knows his history. He will customize the tour to fit your requests. We are old folks in our 70's and had to take it slow. He respected our pace. If you do not wish to spend three hours walking examining rooftops and buildings, let Xavier know what your interests are. Perhaps a visit to the art museum, or harbor or even a family farm. The best part was lunch, local craft beer & other tastings. TOUR GUIDE RESPONSE: Merci Patricia. It was a pleasure to guide you and Wayne and I appreciated the beer break. ;) I'm glad you liked my recommendations for restaurants and enjoyed Quebec-City for your trip of the year. Xavier was an excellent guide all around. His English was perfect, and his knowledge of local history and politics, and their relation to larger world events (notably the world conflict between France and England)was impressive and really filled out the trip. He took us through side streets to show us peculiarities of local architecture, and made a great recommendation for lunch. We travelled with 2 young children, and the pace he set was fine for all. A great introduction to this very interesting city. TOUR GUIDE RESPONSE: Thank you Richard ! And thank you for all the informations you gave me about your work to find your roots, it was very interesting. Xavier was very polite, informative, knowledgeable, helpful and humorous. We would highly recommend him for any tour!!! TOUR GUIDE RESPONSE: Hi Virginia, thank you for your rating and review. It was a pleasure to guide you and succeed to escape from the crowd. Next time you come I'll prepare a zip line tour for you. We asked Xavier to please give us tour of the off the beaten track of Old Quebec and we were more than pleased. Xavier was not only knowledgeable but a most affable companion for the afternoon. we would recommend him highly to anyone visiting Quebec City. Merci Xavier. And be sure to ask him about his favourite park in the City that even 99% of the local population is unfamiliar with!!!! TOUR GUIDE RESPONSE: Merci Leith ! It was a pleasure to guide you both from Old Quebec to the Old Suburbs. Thank you again for the beer break, always a good idea when it's sunny and hot. TOUR GUIDE RESPONSE: Bonjour Ronald, thank you for your review. I'm glad you both liked Lévis' atmosphere and history. Now this tour is even better than before because the main church is open in Summer. Xavier was extremely knowledgeable and spoke excellent English. He knows the City well and had many interesting antidotes. Would recommend him highly. TOUR GUIDE RESPONSE: Thank you Dan ! Next time I'll hire your dog Star to sponsor my tours, she was very popular today.